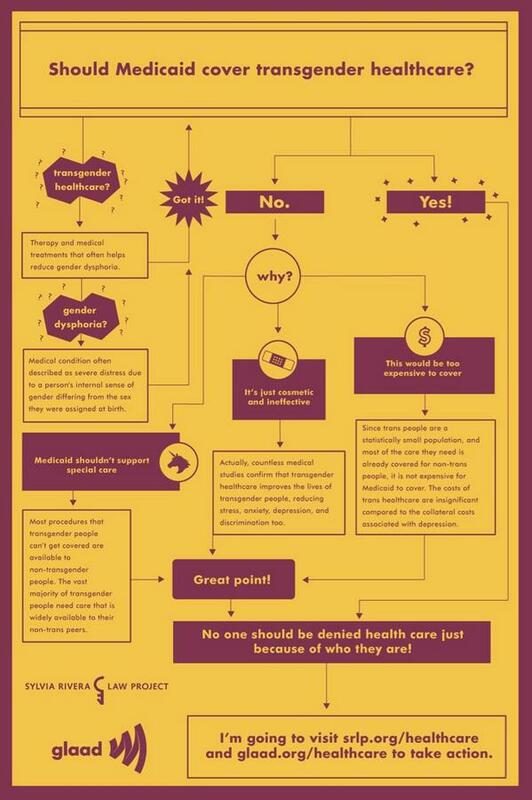 You are here: Home › News › News › NEW: Trans Healthcare Infographic from SRLP and GLAAD! For the past ten years, SRLP’s has worked to end the Department of Health’s discriminatory ban on transition-related care, and build a movement of support for trans healthcare. We couldn’t have done it without the support of organizations like GLAAD, our collaborator on this infographic and many others in our public education campaign to end the Medicaid ban on trans healthcare! Thank you to our collaborators at GLAAD!